The exploration is fun, but so is the building. It's like Legos. I would never be satisfying going spelunking and not arriving back at home caked in mud. 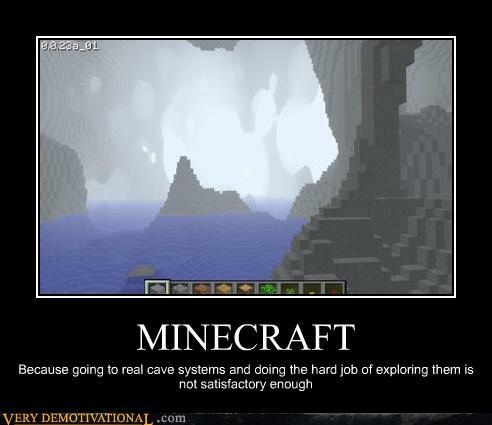 @ Looney: But the caves in Minecraft are so much more fanciful than real life. And if you die you just respawn at your spawnpoint. not U$ dollars, euros, once it's out of beta it's going to be 20 e, so be quick!